Many of us dream of living in France but it usually remains just that, a dream. 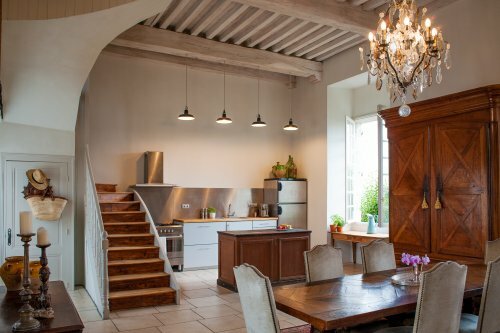 For one New Zealander though, a change in circumstance presented her with an opportunity to follow her dream and buy a home in the heart of France’s South-West wine region. Andrea Bradley had been living in Sydney when she decided to return to New Zealand and take stock of her career. “I’d returned to Auckland but wasn’t particularly interested in continuing my career in Human Resources and thought now seemed like the right time to consider a complete change” Andrea says. 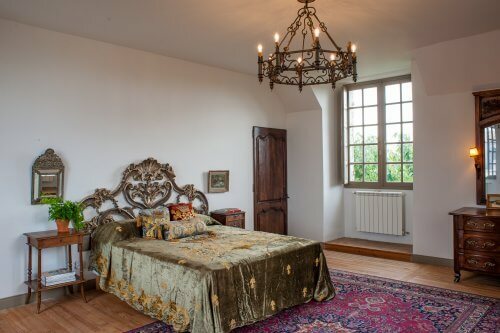 “I’ve always loved the idea of living in France and for years had been looking at properties online (usually châteaux in need of serious restoration and renovation) and emailing them to my family. It was a bit of a joke but suddenly I was in a position to at least consider spending some time in France”. 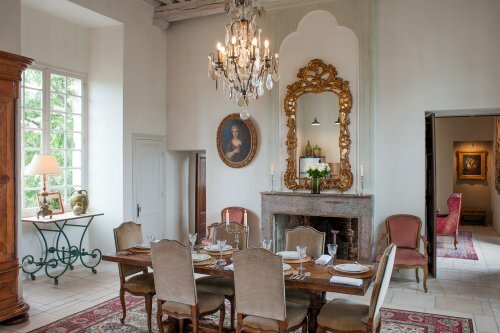 A chance meeting with the French-Kiwi couple back in Auckland led to her purchasing their part of a château in the tiny village of Saussignac. 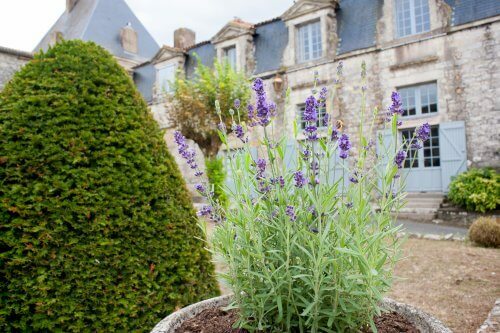 “Although I’d loved the idea of buying a property and renovating it, it would have been totally a totally impractical task given my plan was only to spend one to two years full time in France and my French was at a very rusty school-girl level. All the hard work had been done with this property, which meant I could come in and enjoy it from day one”. 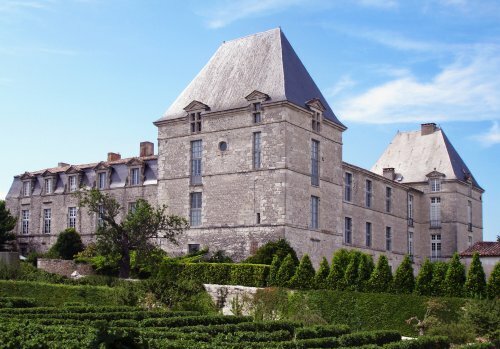 Château de Saussignac, with its two wings, was built by Pierre D’Escodeca de Boisse, the Cavalier de Pardaillon, an important man in the area under the rule of King Louis XIII. This was a time of great conflict between Catholics and Protestants and to keep his prestigious position, de Boisse converted to Catholicism. The Protestants weren’t happy with his conversion which led to de Boisse being murdered by a gang (allegedly including his own son) in the village of Gensac in 1621, just 25 miles from his home. Work on the château stopped and it would be another century before it was taken up again, but de Boisse’s original plan was never completed. In the mid 1800’s, the château was divided into five apartments, with the left wing becoming the Salle de Fête. There are now a mix of French and étrangers (expats) who own the apartments. “The two wings were added in the 17th century and are therefore completely different in style to the centre and two towers, which have vaulted stone ceilings and walls. 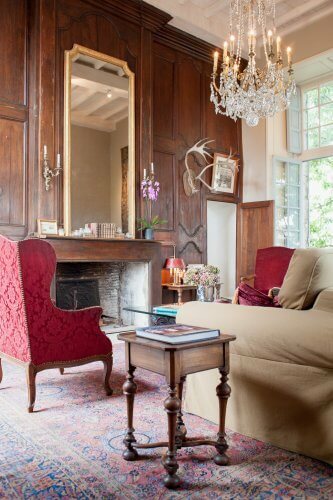 The style of this wing is more elegant, with its four metre high walls and wooden panelling in the salon” Andrea adds. “This part of France is so beautiful. Our little village is surrounded by vineyards, the majority of which are organic. Everyone hunkers down in winter but the village comes alive in spring, with the Spring Fair being the start of several festivals. In July and August, there is a wine tasting in the village every Monday evening (with a different local winery hosting each week), there’s a wine and jazz festival, and art exhibitions. We have a fantastic local bistro called Café 1500, which is owned and operated by my friends Mike and Lee. Mike is also one of our local artists. 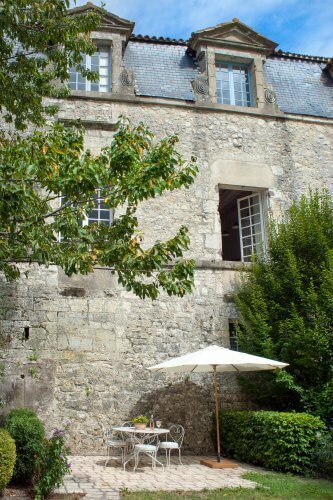 There is so much to see and do around here – from châteaux and stunning gardens (my favourite is the Manoir et Jardins d’Eyrignac) to the historic caves at Lascaux, and of course vineyards, with the most famous wine village of all, Saint Émilion only 40 minutes away. The lovely town of Bergerac is 20 minutes to the east and Bordeaux city is an hour and a half to the west”. After nearly 18 months in this beautiful home, Andrea has returned to New Zealand to start an interior design and textiles business and has made her apartment available as a rental property. Visit www.afrenchview.com for more details. NOTE: Make sure you mention that you discovered this special respite via Girls’ Guide to Paris to get your very special offer!